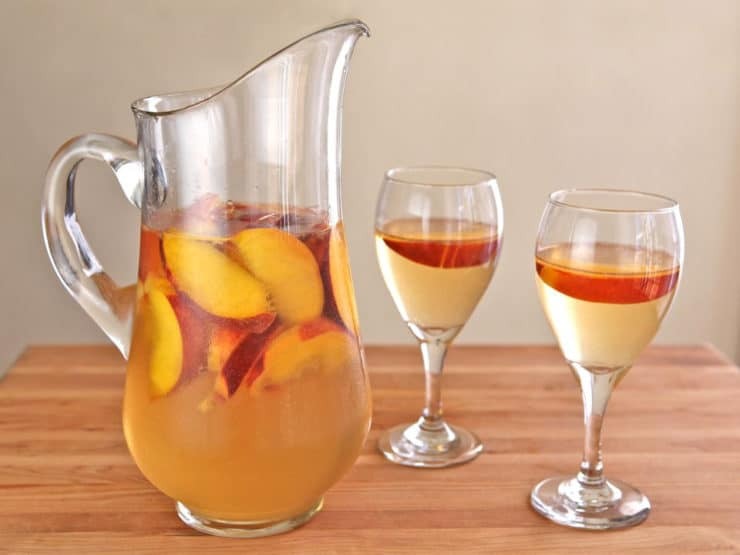 Place the sliced peaches into the bottom of the sangria pitcher. In a small saucepan, bring 1/4 cup of sugar and 1/2 cup of water to a boil. Stir until the sugar dissolves completely. Remove from heat and let it cool. This is your simple syrup. Pour the simple syrup, peach liqueur and white wine over the peaches- stir. Place the pitcher in the refrigerator and let it sit for at least 2 hours, up to overnight. 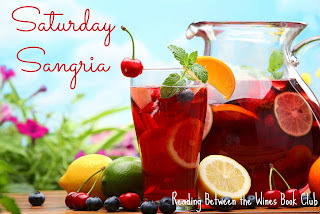 When ready to serve, top the pitcher off with chilled ginger ale and stir gently. Serve in glasses, allowing a piece of fruit or two into each glass.